Summary: Researchers report the vibrations produced by horse riding can activate the sympathetic nervous system and improve learning for children. Study shows how the effects of horseback riding improve learning in children. Recent research published in Frontiers in Public Health shows that the effects of vibrations produced by horses during horse-riding lead to the activation of the sympathetic nervous system, which improves learning in children. “We wanted to look into these effects because previous studies have demonstrated the benefits of horseback riding with respect to enhancing physical health and the mental effects, but few studies have addressed the effects of horseback riding on children and the mechanisms underlying how riding affects humans” says Mitsuaki Ohta, professor of Tokyo University of Agriculture. Ohta and his research team examined the effects of horseback riding on the performance of children by having them complete simple tests directly before and after horse-riding, while measuring the children’s heart rate in response to movements created by the horses. The behavioral reactions of the children were tested using a ‘Go/No-go’ test, which assesses cognitive response using fast computerized questions. The test determined the children’s ability to appropriately respond in a situation, by either performing an action or demonstrating self-control. The children were also asked to complete simple arithmetic problems to test their mental performance. The results showed that riding on some horses greatly improved the ability of the children to perform the behavioral tasks, but less of an effect was seen on the children’s results when solving arithmetic problems. Ohta believes this difference in results may be due to the simplicity of the mathematical test, as increases in heart rate were only associated with the behavioral test. “The Go/No-go tasks might be harder than the arithmetic problems and thus cause a more extensive activation of the sympathetic nervous system, since increases in heart rate were associated with the improved performance of Go/No-go tasks, but not arithmetic problems”, he explains. These results mean that the act of horse-riding could improve cognitive abilities in children. These are brain-based skills of which an improvement can lead to enhanced learning, memory and problem-solving. The results showed that riding on some horses greatly improved the ability of the children to perform the behavioral tasks, but less of an effect was seen on the children’s results when solving arithmetic problems.” NeuroscienceNews.com image is for illustrative purposes only. So, what is specific in the movement of horse-riding that leads to these improvements? “One important characteristic of the horse steps is that they produce three-dimensional accelerations. The movement of the horse’s pelvis may provide motor and sensory inputs to the human body and in this study, I believe some of the differences among the rider’s performances might be due to these accelerations” Ohta explains that results may be due to the vibrations produced from the horse’s motion activating parts of the sympathetic nervous system, leading to improved behavioral test results. While it is important to consider that the results could vary based on the horses or breeds, and that a lot of children do not have easy access to horse-riding classes, perhaps some benefits could be acquired from interactions with more attainable pet interactions. Funding: This study was supported by Promotion and Mutual Aid Corporation for Private Schools of Japan. 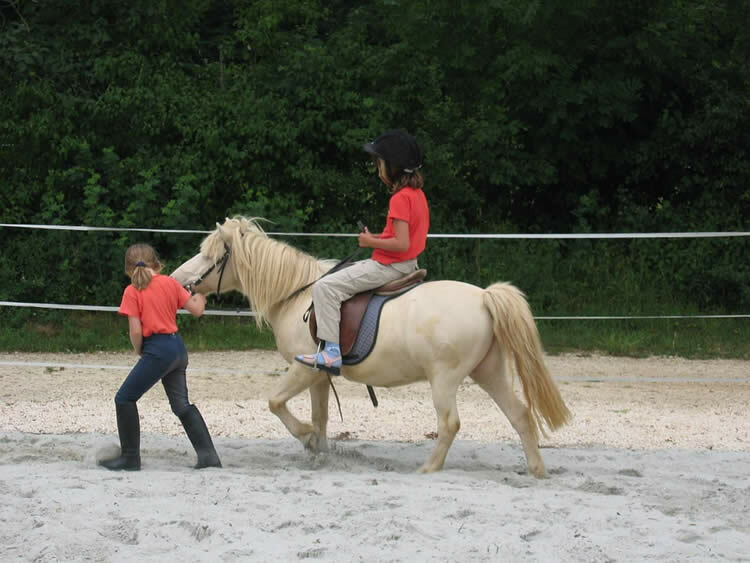 Frontiers “Horse Riding Can Improve Children’s Cognitive Ability.” NeuroscienceNews. NeuroscienceNews, 2 March 2027. Frontiers “Horse Riding Can Improve Children’s Cognitive Ability.” http://neurosciencenews.com/horses-child-cognition-6184/ (accessed March 2, 2027). Background: There are many obvious health benefits to riding, including developing a strong core and legs, but there are also many less obvious benefits, such as increased confidence and introspection. Few studies have addressed the effects of horseback riding on children and the mechanisms underlying how riding affects humans. We examined the effects of horseback riding on the ability to distinguish Go/No-go tasks and solve arithmetic problems in children. Methods: The subjects were 34 boys and 72 girls, aged 10–12 years old, which were divided into three groups (horse riding, walking, and resting). They were healthy typical children, who performed the Go/No-go tasks and solved the arithmetic problems. The heart rate and heart rate variability of the children, and the three-dimensional acceleration of the children while walking horses, were examined. Results: Riding on a half-breed horse or a pony improved the ability to perform Go/No-go tasks and solve arithmetic problems, possibly through sympathetic activity. Some horses, like the Kiso, might provide a healing effect to children through parasympathetic activity. Statistically significant differences in the three-dimensional acceleration and the autonomic activities were observed among the three horses. The acceleration in the Kiso horse group during walking in hand was significantly different from those involving the other two horses, indicating that the vibrations produced by these horses might modify the autonomic activities. Conclusion: The most important beneficial factor of horseback riding for children and for human health appears to be associated with the horse’s vibrations, which may differ among horses. Riding some horses may improve the ability of children to respond with an appropriate action depending on the situation (Go reaction) or use self-control appropriately (No-go reaction), possibly through the activation of the sympathetic nervous system.